Whoa. This looks quite interesting - why isn't it premiering at Sundance in January? Damn. 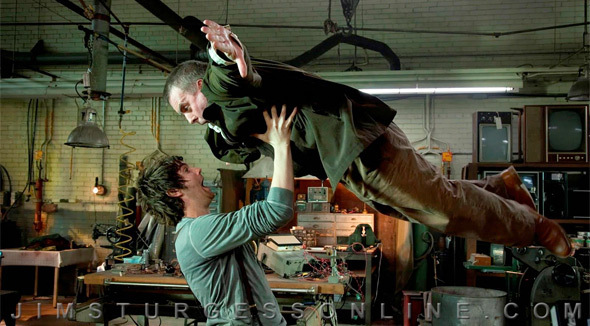 Our friends at JimSturgessOnline.com have a batch of fantastic new photos from Juan Solonas' sci-fi romance film Upside Down, starring Jim Sturgess as a man searching an alternate universe for a long-lost love from his youth, played by Kirsten Dunst. We've had one intriguing first look at this indie sci-fi before, but nothing like this, as these new photos look quite spectacular. It tells the story of two star crossed lovers Adam and Eve "separated by opposite worlds, one up and one down, but both just out of reach of the other." 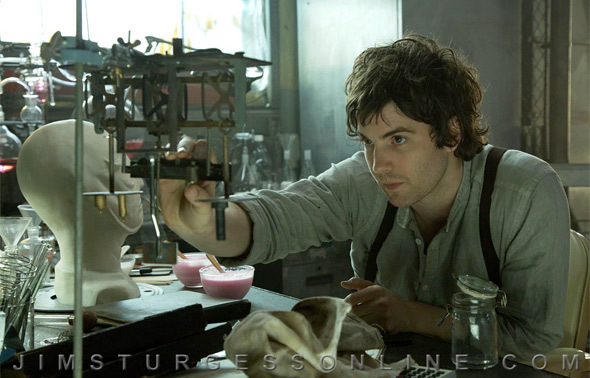 Jim Sturgess stars as Adam, a seemingly ordinary guy in a very extraordinary universe. He lives humbly trying to make ends meet, but his romantic spirit holds on to the memory of a girl he met once upon a time from another world, an inverted affluent world with its own gravity, directly above but beyond reach… a girl named Eve (get the names? ), played by Kirsten Dunst. That childhood flirtation becomes an impossible love. But when he catches a glimpse of grown-up Eve on television, nothing will get in the way of getting her back. It's written and directed by Argentinian filmmaker Juan Diego Solanas, but doesn't have a distributor. there was a screening for this back in october in LA. anyone you know thats seen it, alex? Some people have left their reviews on tumblr. Very positive reactions IMO. Looking good. Kirsten Dunst that is. Didn't know about this film, it looks interesting enough. We'll see..